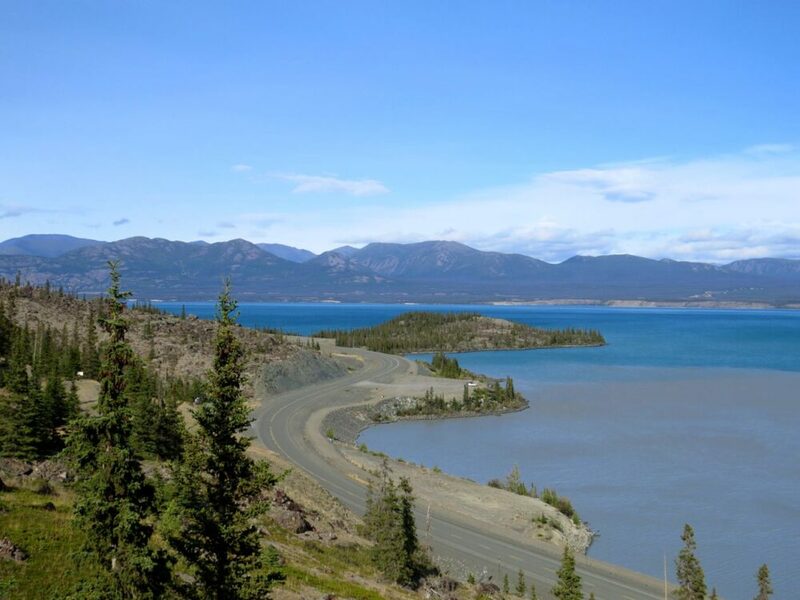 Canada has some pretty awesome road trip opportunities across the country but Yukon Territory may be the ultimate grand tour destination. A drive here features unbelievably wild landscapes, quiet roads, the chance to see captivating wildlife and more. 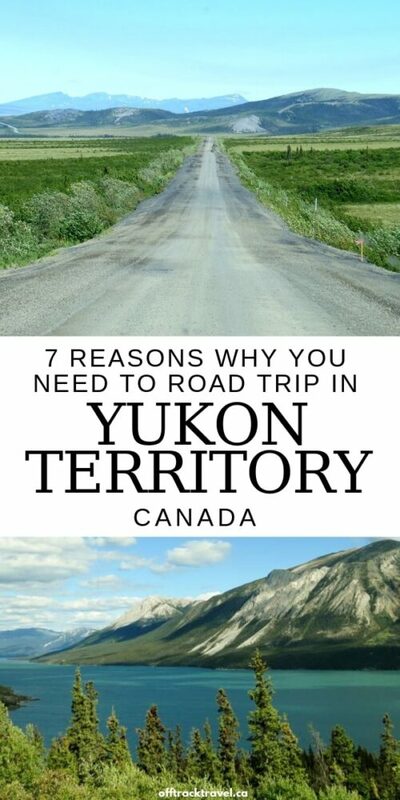 If you like road trips, Yukon should definitely be next on your list and here are seven great reasons why. There are affiliate links in this post. If you buy a product through these links, I receive a small percentage of the sale at no extra cost to you. There is no other word for Yukon’s scenery other than epic. Azure lakes, rugged mountains, endless tundra, mighty rivers, boreal forests….there’s no other place like it! This is the true wilderness that so many people dream of seeing. In some places, the landscape just seems to go on forever. 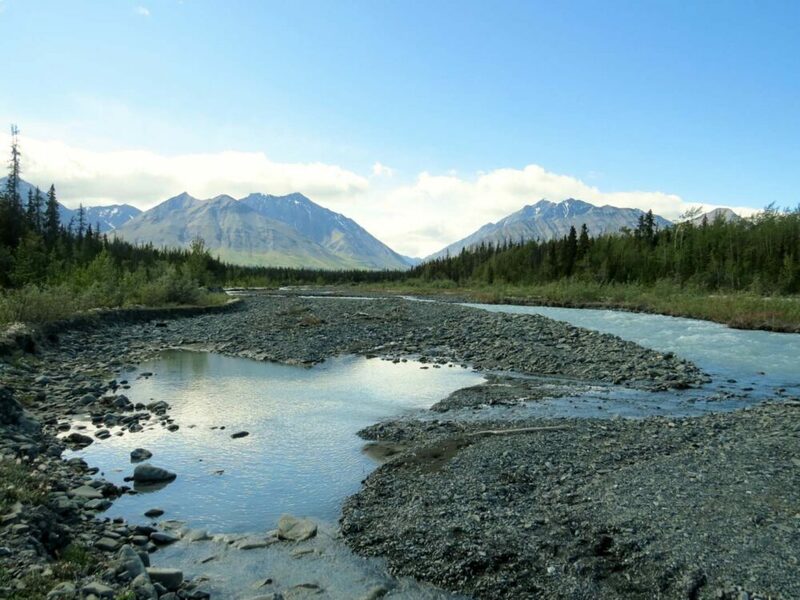 With less than 34,000 people living in 474,391 km2 of land (and with most of these living in Whitehorse), there is a heck of a lot of wilderness in the Yukon. With this much space, there is enough untouched scenery for everyone to enjoy. 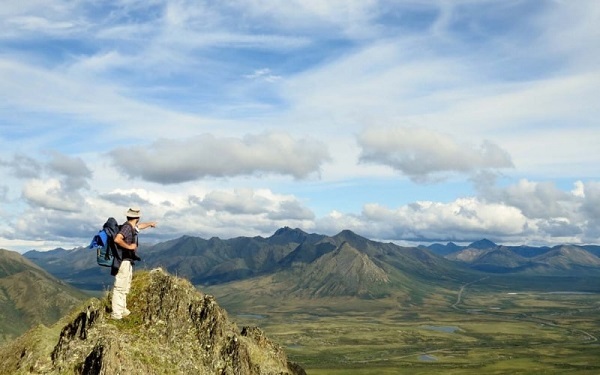 If, like us, you prefer to avoid crowds, Yukon Territory is the place to be. The immense wilderness found in Yukon Territory lends itself very naturally to incredible outdoor adventure opportunities. Drive as far as you like, and then as long as you are capable of being self-sufficient, you can pick a mountain, river or lake to conquer. 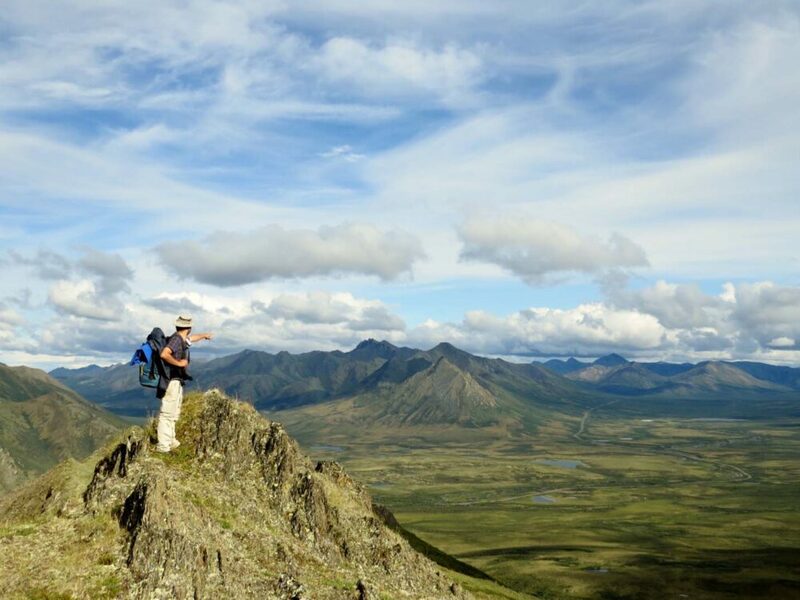 In Tombstone Territorial Park, for example, the park guides actively encourage you to leave the trails and hike anywhere you want. How wonderfully liberating! With all this wilderness in mind, make sure you have the Milepost guidebook on your Yukon road trip. 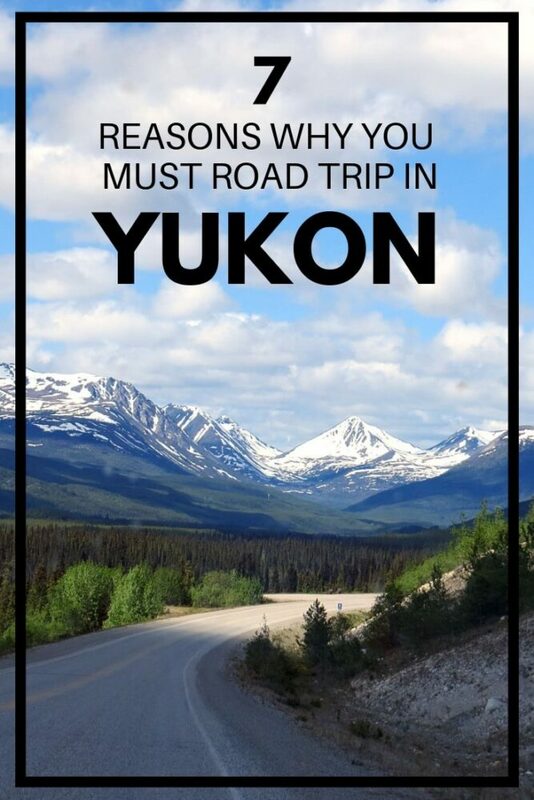 It includes a mile-by-mile breakdown of every Yukon highway. With the Milepost, you won’t miss a thing. Plenty of people consider Canada’s north to consist of entirely barren landscapes. 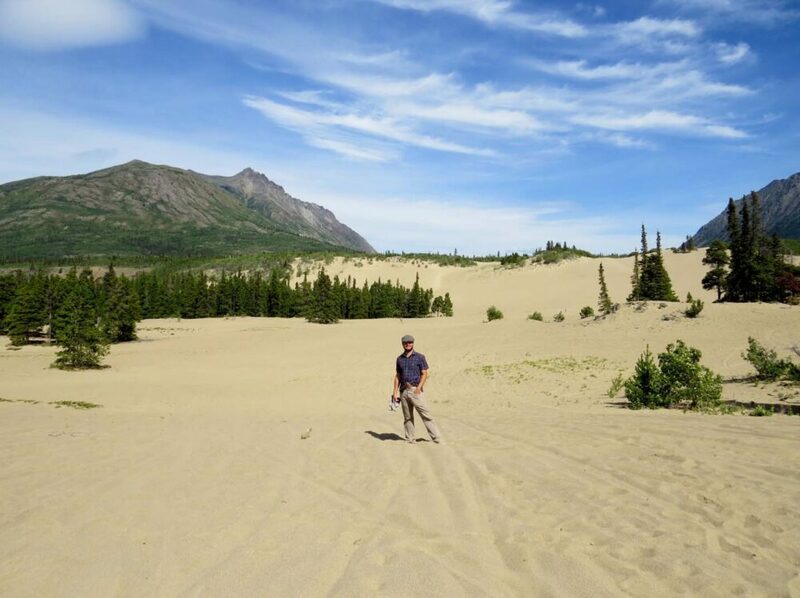 I bet you wouldn’t have guessed that you can see both tundra and desert while on a road trip in the Yukon! Or how about a forest of 72,000 signs? A retired aeroplane being used a weather vane? Or better still, a drink with a petrified toe in it? Maybe you’ll be lucky and see green lights in the night’s sky, or quite possibly no night at all if you visit mid-summer. It’s a strange place up north to say the least! Looking to book a stay in Whitehorse to start your Yukon road trip adventure? 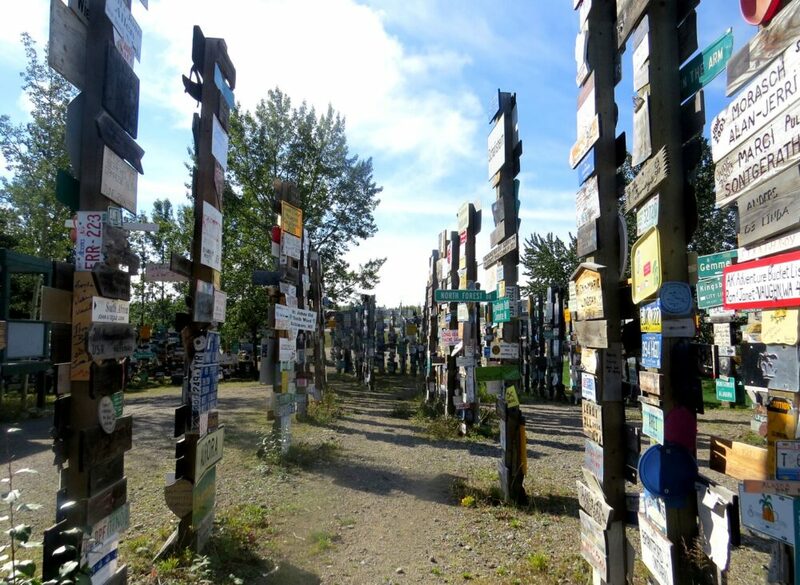 The Signpost Forest near Watson Lake – An essential Yukon road trip stop! 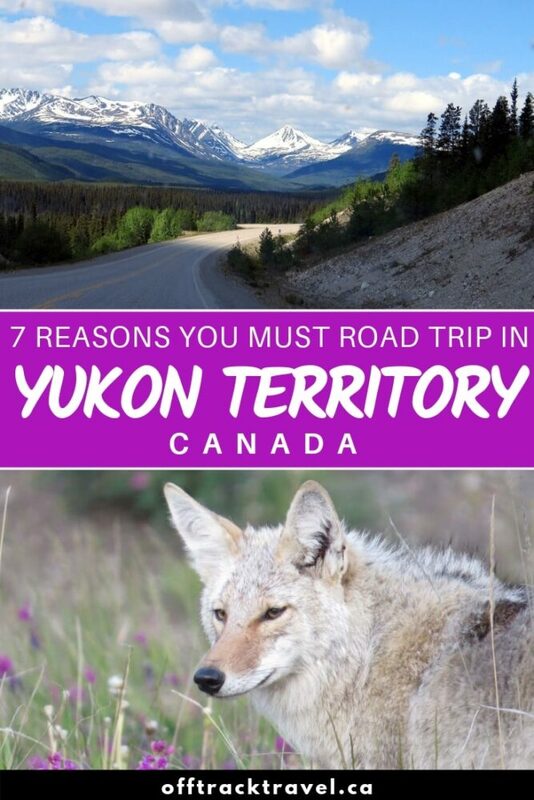 The sheer variety of wildlife that lives in Yukon is pretty darn impressive; grizzly and black bears, wolves, coyote, moose, bison, porcupine, foxes, eagles, falcons and, the Canadian icon, beavers. And we managed to see all of these on our Yukon road trip! Some friends of ours were even lucky enough to spot a lynx. 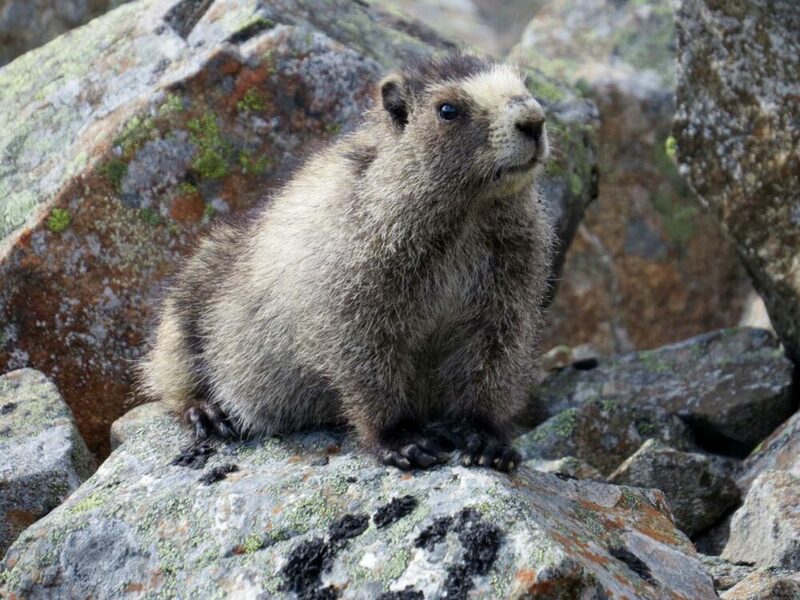 The muskox is even more elusive, only found in the very north of the territory. 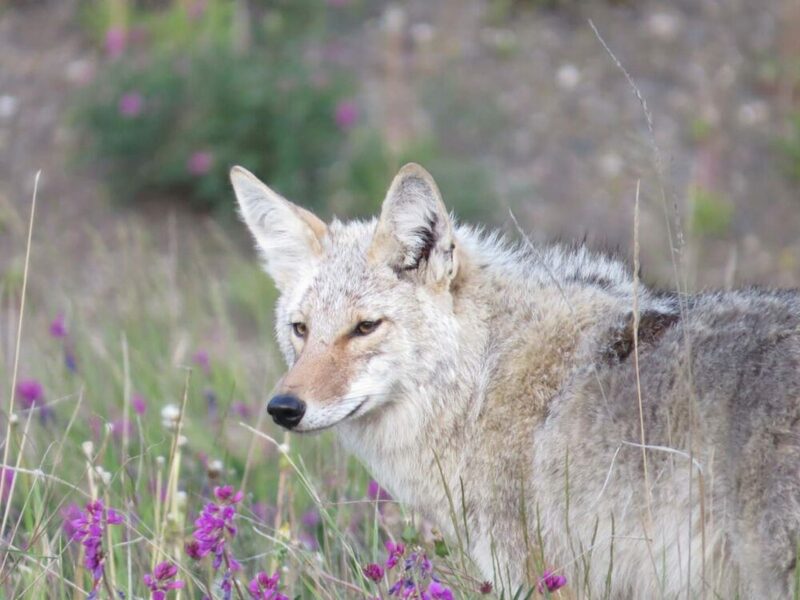 This beautiful coyote (below) was hanging out near the Five Finger rapids on the Yukon River, not far from one of Yukon’s main highways. 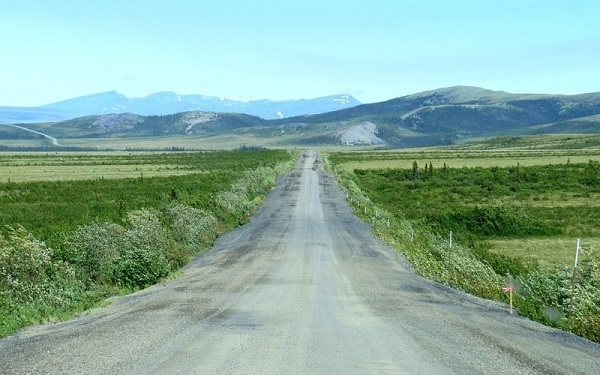 The Yukon is home to the first two-thirds of the Dempster Highway, Canada’s only all-weather public road to the Arctic. 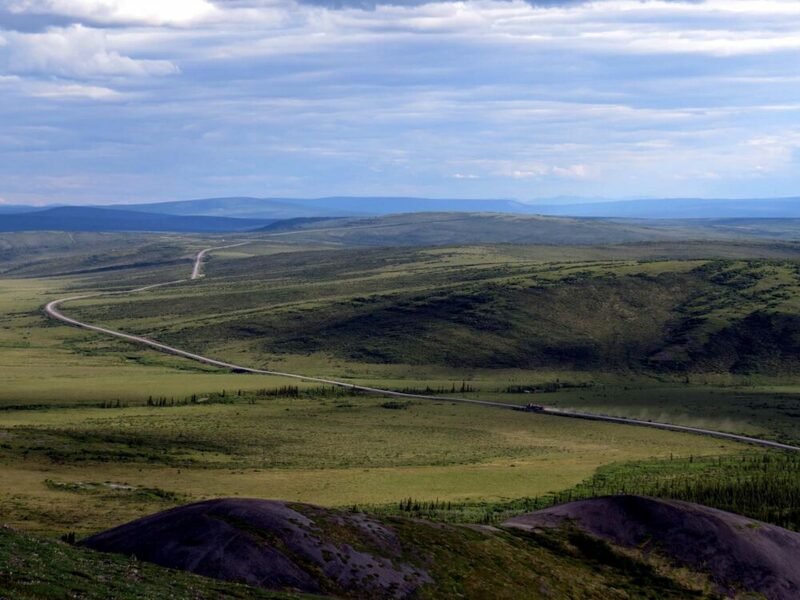 An epic road trip in its own right, the Dempster Highway offers stunning views of jagged mountains and tundra. Visit in late June/early July to experience an incredible twenty four hours of daylight and seemingly endless fields of wildflowers. 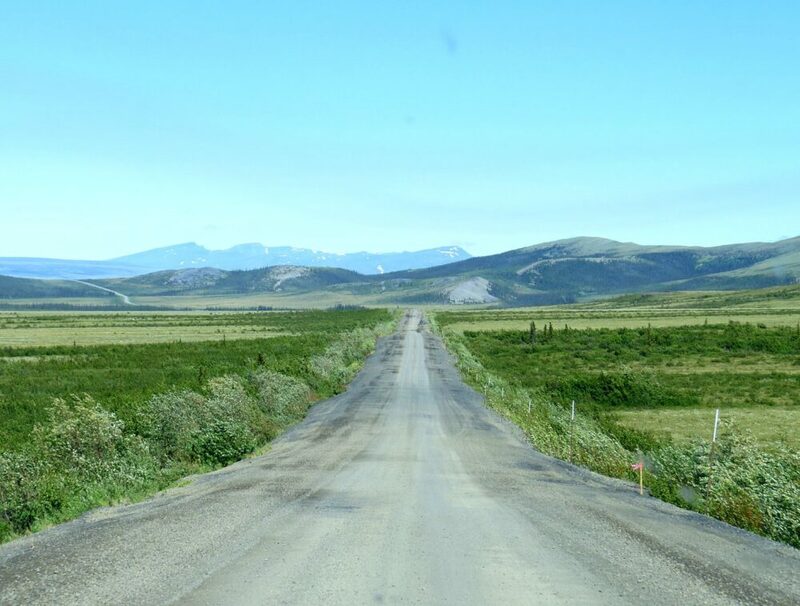 Since 2018, it has been possible to drive all the way to Tuktoyaktuk (NWT) to dip your toes into the Arctic. 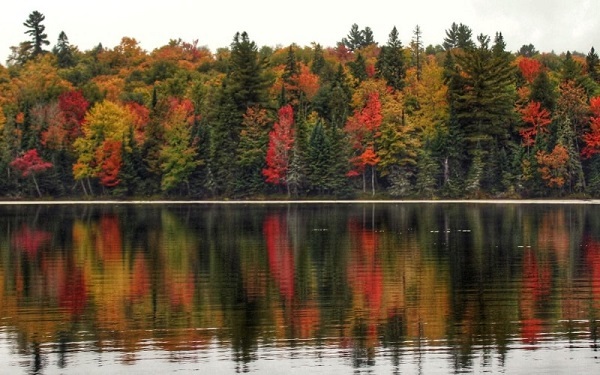 An unforgettable experience…just remember to bring a decent spare tire and lots of bug spray! 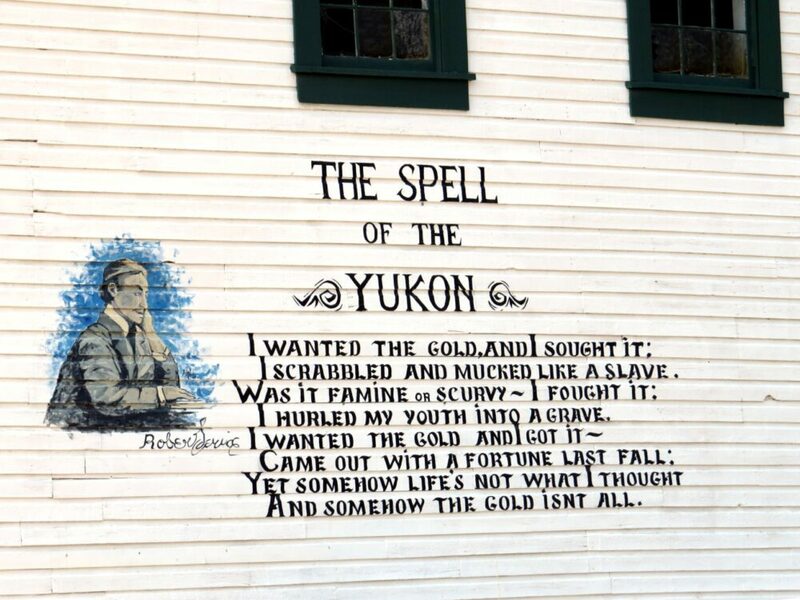 While the territory may only be technically 116 years old, the Yukon has a lot more history than you would expect. Of course, most people know a little something about the 1897 Klondike Gold Rush that brought thousands of aspiring miners to the area. This event helped shape modern Yukon and Canada as familiar to us today. But did you also know that a quarter of Yukoners identify as having Aboriginal ancestry (compared to around six percent in neighbouring British Columbia)? We were taken aback by all the kind people who shared their stories and traditions with us, as well as recipes for bannock and Labrador tea. 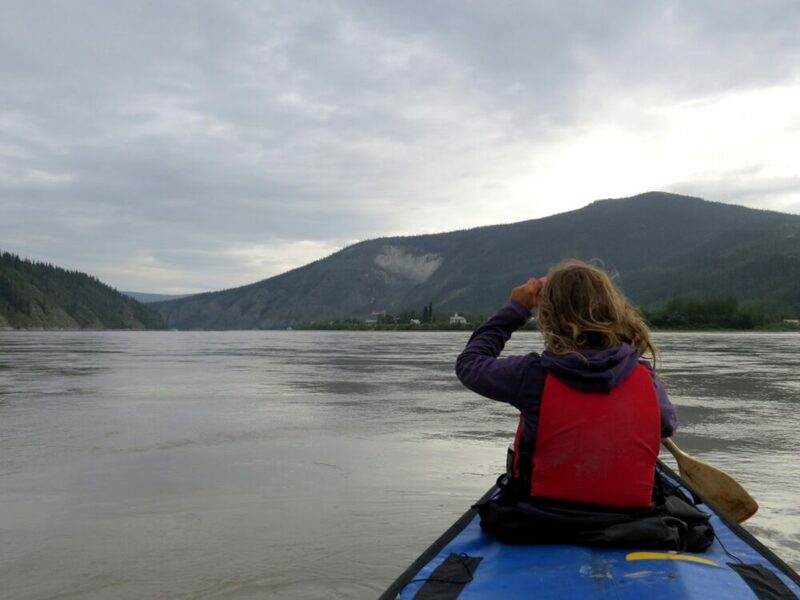 While paddling from Whitehorse to Dawson city, we learned the importance of the Yukon River to First Nation life. 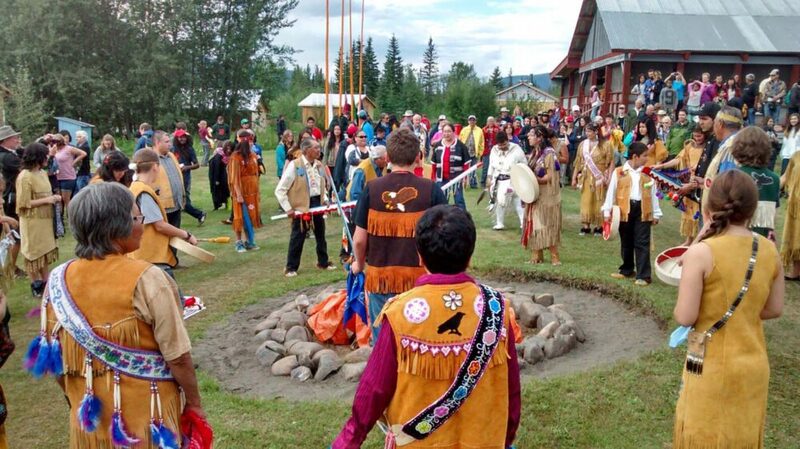 Not long after, we were fortunate enough to experience the Moosehide Gathering, a celebration of Tr’ondëk Hwëch’in history and culture in a traditional village just downriver of Dawson City. I left the Yukon with a new appreciation for a culture I previously knew very little about. 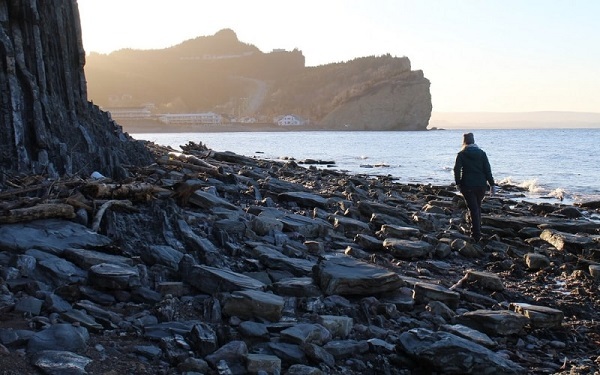 From enterprising and eccentric locals eking out a living from the land to travellers looking for wilderness and adventure, the north does attract some interesting folk. Modern Yukon still has its share of pioneers and characters; I guess you have to be pretty resilient to live out those winters! We also met plenty of people on or about to start amazing journeys across the territory, Canada or the wider world. While some folks were impressed we had driven the full length of the Dempster Highway, I was more awed by those who had decided to cycle it. 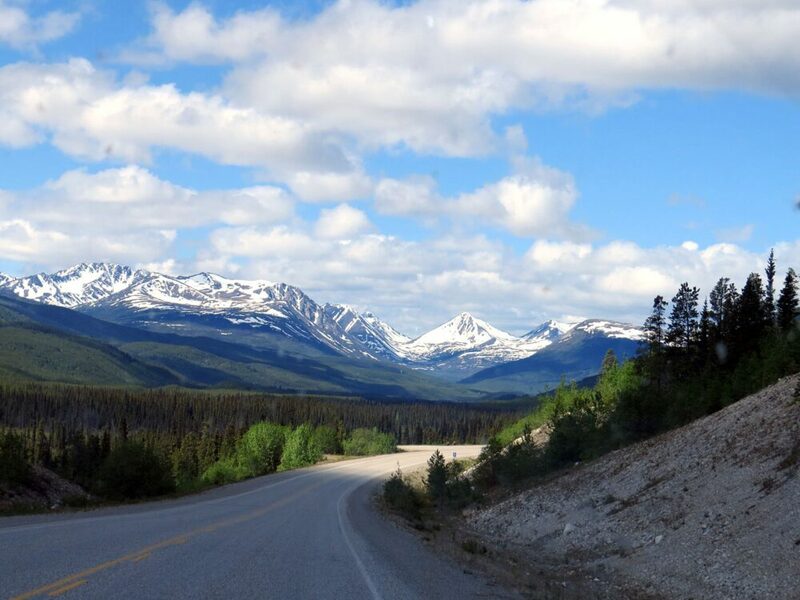 If your preferred road trip style involves camping, the Yukon Territory is a perfect match! 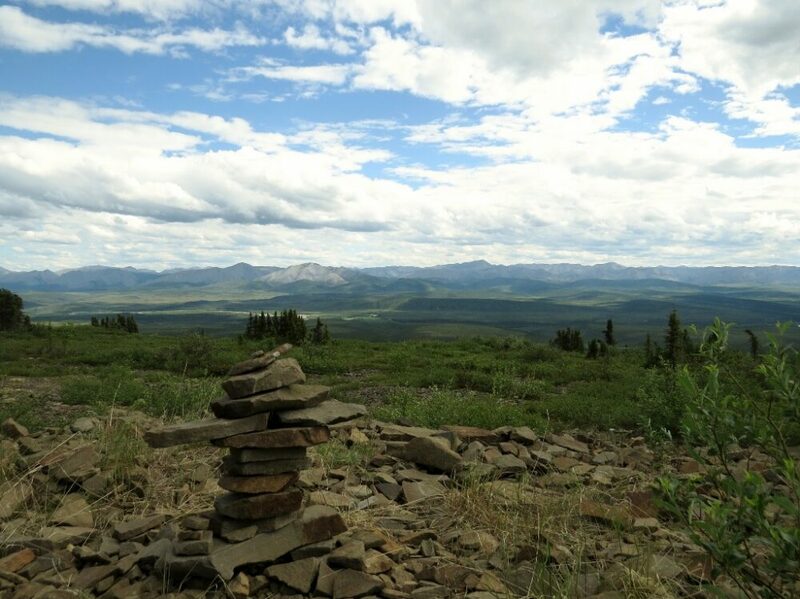 There are over 50 government campgrounds located around Yukon Territory. 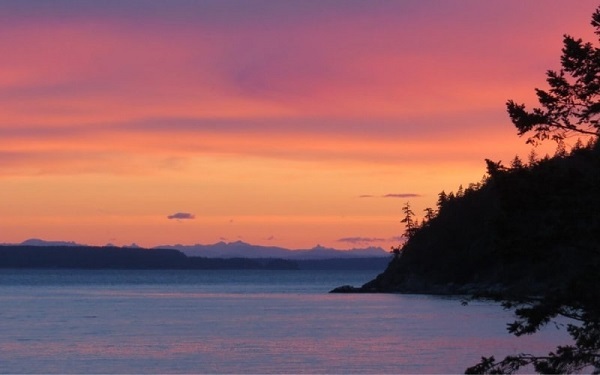 These are easily accessible by paved road and offer unreservable sites for $12/night with free firewood, communal cooking shelters and a water source. 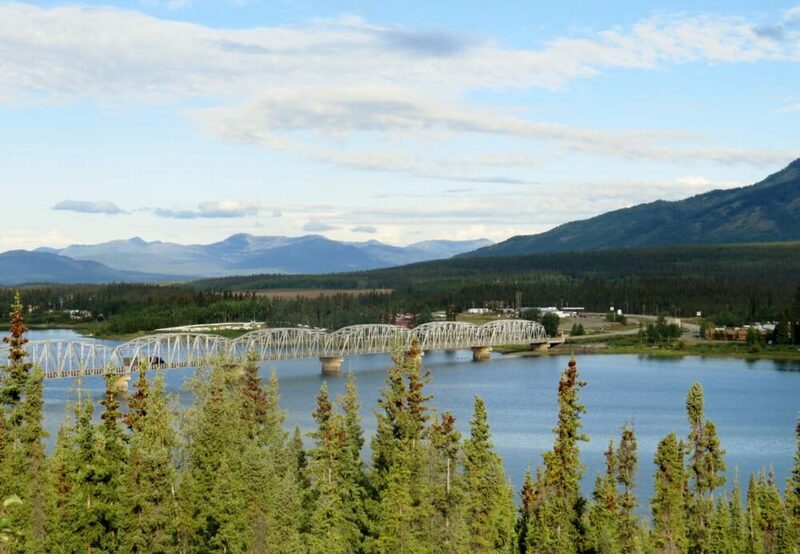 Typically located next to lakes and other water sources, Yukon’s government campgrounds are usually surrounded by beautiful views and nature. 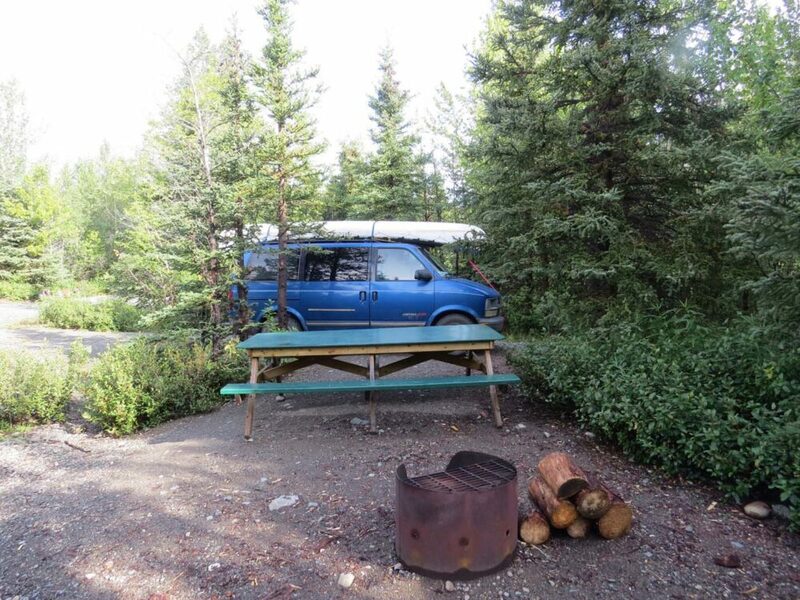 We still did a fair bit of free wild camping too in Yukon but it’s hard to beat paying $12 for a well kept campsite with free wood. End each day of your epic road trip in Yukon with a campfire under the stars. What’s your favourite road trip destination? PIN or save this post for future reference with one of the above images! I would love to see a grizzly next time I visit. We sadly only saw one grizzly in two and a half months in Alaska and the Yukon. We were driving on the Dempster highway and it burst out of the trees by the road and sprinted to the other side. It was so huge that it made me pretty thankful we never saw one while hiking!! Thanks for your lovely comments Jolanta! The Yukon definitely deserves a spot on your board! 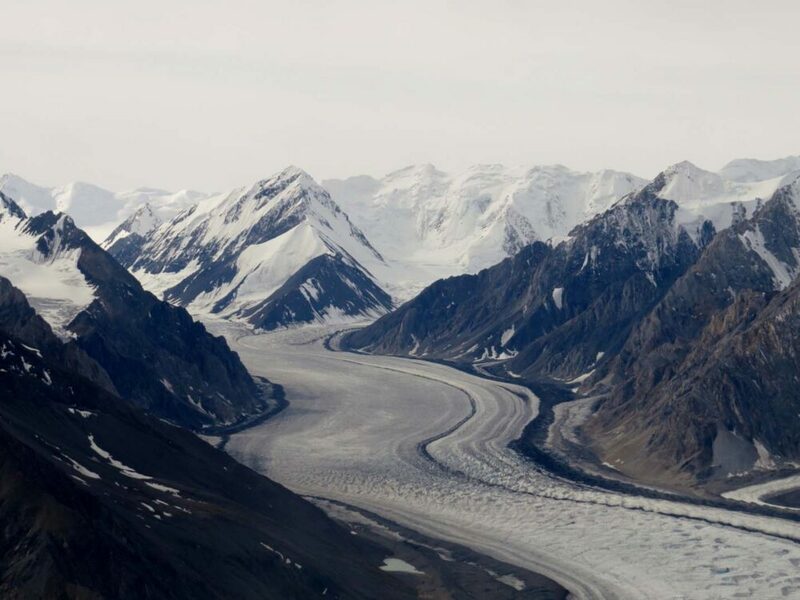 Wow, the Yukon has been on my bucket list for a long time, these pics are amazing! Thanks Lizzie! I hope you get up to the Yukon soon! Let me know if you need any tips or advice. The Yukon is also home to the Bluefish Caves, which has been dated to having ‘allegedly human’ worked mammoth bone, dated to 28,000 y.b.p., although it’s not reachable via roads. Beautiful place, and even though we have a long winter, there’s usually no major storms to contend with compared to the rest of Canada. Wow, the Bluefish Caves sound incredible Paul. I was really intrigued about visiting the Old Crow area. I imagine you would have to fly in to see the Bluefish Caves? Thanks for your comment! 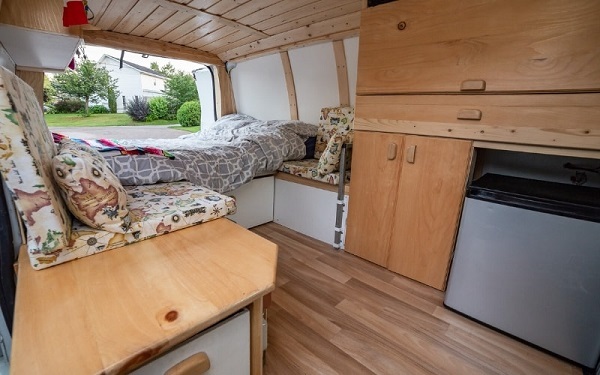 Wow, The Yukon seems like a really cool way to be thrifty, yet have an awesome experience in the outdoors. 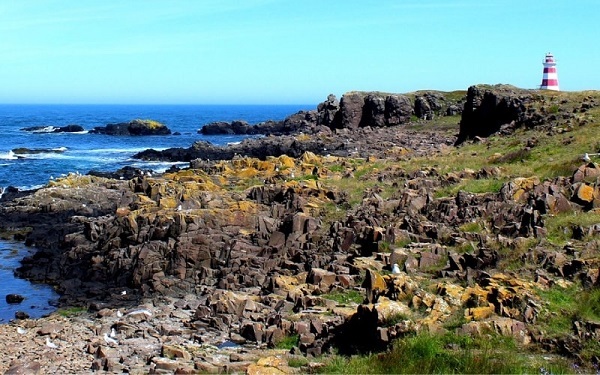 Great blog Gemma, thanks for sharing your beautiful photos. Quick question, where was the last photo taken, the “another day, another roadside lake”? We are visiting in a few weeks and would love to go there. 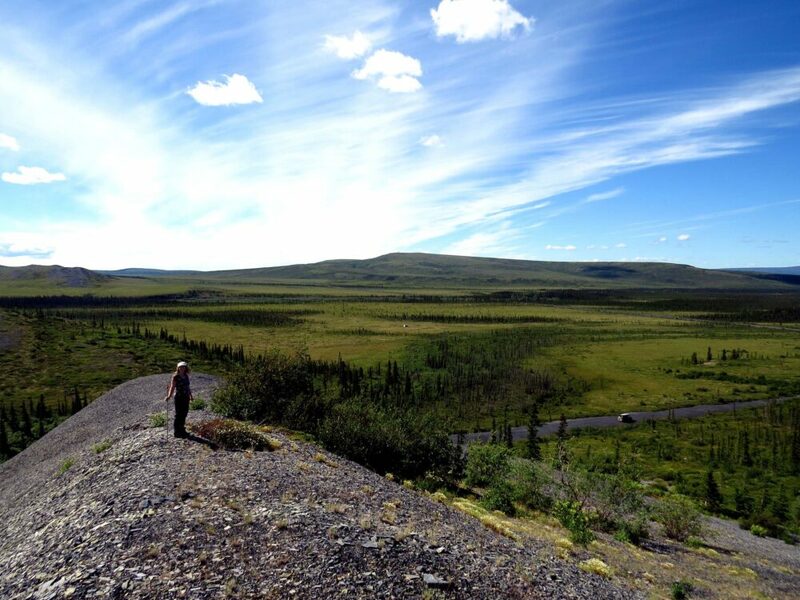 Would 10 days be sufficient to do Yukon-Alaska golden circle route? If not what would your suggestion be? Hi Josephine, sorry for the late reply, we have been on a week long canoe trip. I wasn’t familiar with the ‘Golden Circle’ terminology but having Googled it, I would say a six or seven days minimum and then extra depending on your interests e.g. hiking, fishing etc. When I was in Haines I was tempted visit Juneau for the day, but had to cancel due to bad weather.